This is an affordable 6 night safari spent in 2 of the Greater Kruger's most pristine private nature reserves, the Sabi Sand and the Klaserie. Both reserves share unfenced borders with the national park and the free-flow of wildlife means that there is no chance of missing out. Off-road privileges and walking safaris in the Klaserie make for an exceptional and memorable safari experience. The Sabi Sand Reserve is famous for predator sightings, often giving guests some of the best leopard sightings in the Kruger. There is a substantial amount of South African history here, and the accommodation Arathusa Safari Lodge has a good reputation, solidifying it as a favourite among visitors. The Klaserie is a lesser-known and very special reserve, with superb Big 5 game viewing and exceptional guides who conduct walking safaris. nThambo Tree Camp has unique treehouse chalets and an air of African luxury. Price: From US$2960, per person sharing. 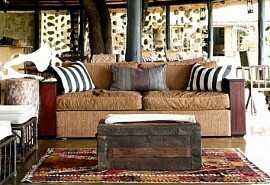 Please note that you can drop a night at each lodge to shorten your safari and lower the cost. Arrive at Johannesburg's OR Tambo Airport where you will connect with a road transfer to Josmacs Bush Pub, just outside the reserve gate. Upon arrival a game ranger from nThambo Tree Camp will meet you and road transfer you to nThambo Tree Camp, in the Klaserie Private Nature Reserve. Here you will stay for 3 nights on a fully inclusive basis with game viewing activities. 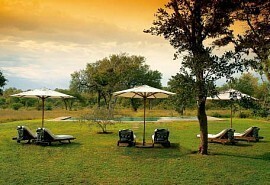 nThambo Tree Camp is an intimate eco-friendly bush camp that offers a traditional rustic safari experience. Guests will experience fantastic Big 5 game viewing, as well as being guided by expert game rangers and trackers in open 4x4 Land Rovers. 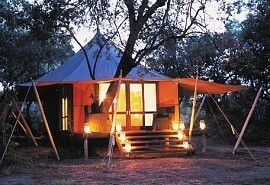 The camp is perfectly positioned within the greater Kruger Park. After your morning game activity and a lovely brunch, you will connect with a road transfer to Arathusa Safari Lodge, in the Sabi Sand Private Game Reserve. 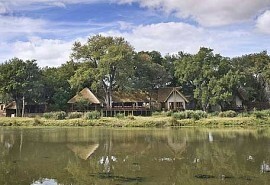 Here, guests will stay for 3 nights on a full board basis plus game viewing activities. Arathusa Safari Lodge an enchanting lodge where guests are treated to an exceptional wildlife experience, including the prized Big 5, and with particular emphasis on leopard sightings. After your morning game activity and breakfast, a representative will road transfer you back to Josmacs Bush Pub, where you will connect with another road transfer taking you back to Johannesburg, OR Tambo Airport, in time for your onward travel arrangements.